Cyberlink PowerDirect is a video editing suite boasting some powerful tools to give your videos a professional touch. You can use the software to capture, edit and burn video clips so they are ready to launch on YouTube, Vimeo and other social networks. One of the most used features is the PowerDirector crop video tool. This allows you to slice video clips so you only show the portion of the frame you want. For example, you can zoom into a clip and extract the image you want to include in your video. The Cyberlink PowerDiretor crop tool is actually very simple to use. All you have to do is selecting an image you want to crop, setting your zoom in and zoom out positions and your good to go. Let’s walk you through this step by step. Drag the video clip you want to crop down into the timeline. Once you have done that you will see the video tool bar becomes activated. Left click on 'Tools' from the tool bar and select 'Power Tools'. This will open up Power Tool Settings. From the side bar menu, select ‘Video Crop’, then click on crop video in the right hand column. This opens up the PowerDirector crop tool designer platform. 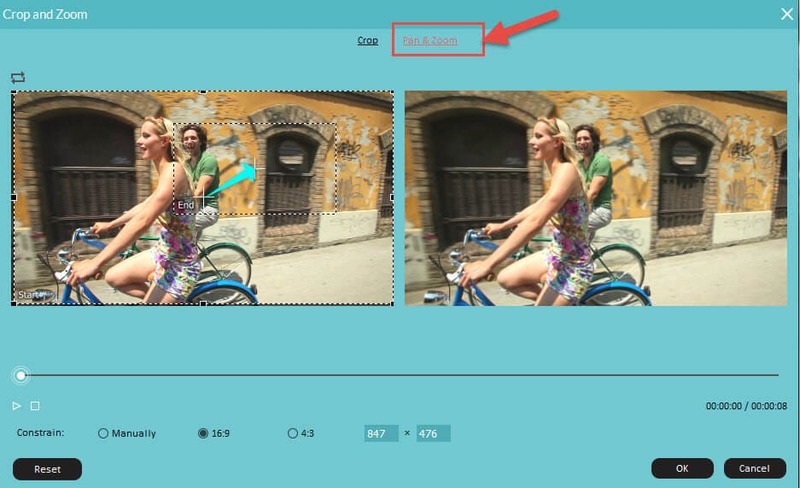 Now you are ready to select the area of your video clip you want to crop. 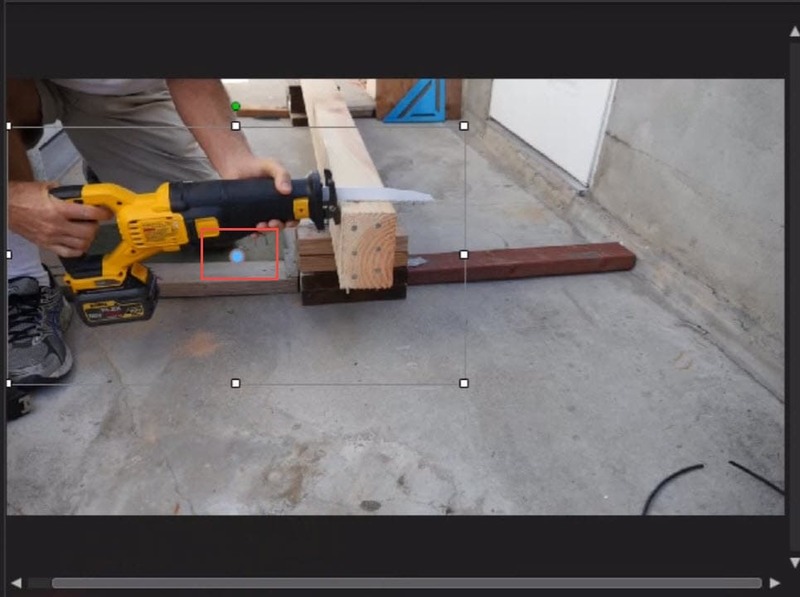 Slide the playhead to the portion of the video you want to keep and click on 'Add Keyframe at current location' located on the tool bar below the image. This activates the grab points. Then all you do is move your pointer to one of the corners and move the grab point window in to indicate the size of the area you want to crop. To capture the precise area of your video, hover your cursor over the blue point in the centre of your grab points. This will activate cross-hairs. Hold the left click button of your mouse down on the cross hairs and drag the box to the precise area you want to crop. If you wish, resize the grab points until you are happy with the point of the image you want to start zooming from. To end the zoom, slide the playhead further along the slider until you are happy with your finishing position. Click on the duplicate keyframe option below and select 'duplicate the previous keyframe'. If you want the clip to be fully zoomed out, select 'next keyframe'. Once you're happy with the settings, click OK.
PowerDirector is not the easiest video editing software to use, so if you are experiencing problems, we recommend switching to Wondershare Filmora. Filmora is much more simple to use and also comes with a many powerful tools. To demonstrate what we mean, this is how to use the crop tool in Filmora. Select 'Pan and Zoom'. This will activate two frames marked 'Start' and 'End'. Click the Start frame and drag it to the area you want to zoom into then resize the gab pointers. Then click the end frame and size the area you want to zoom out to. After reading this article, we are sure you have known how to crop video with PowerDirector. However, if you want to know more anout Filmora, check this video below to find more.